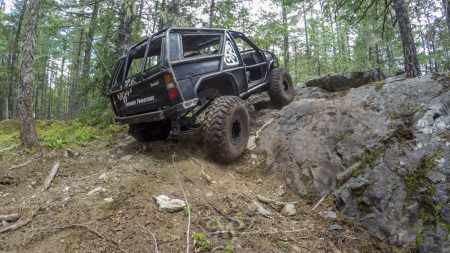 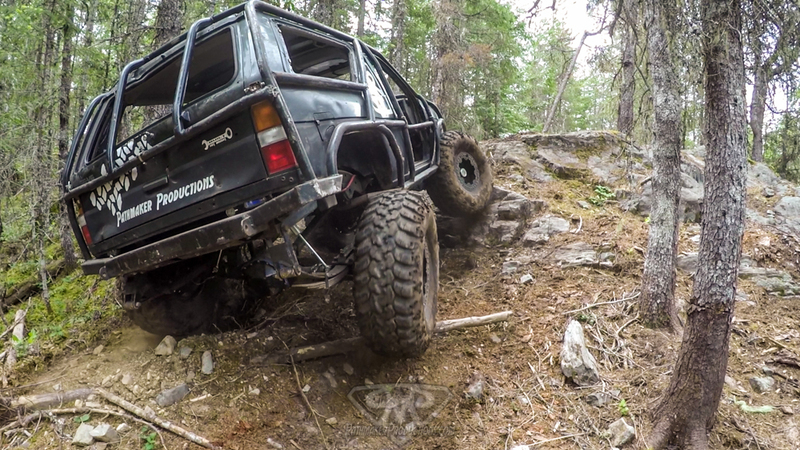 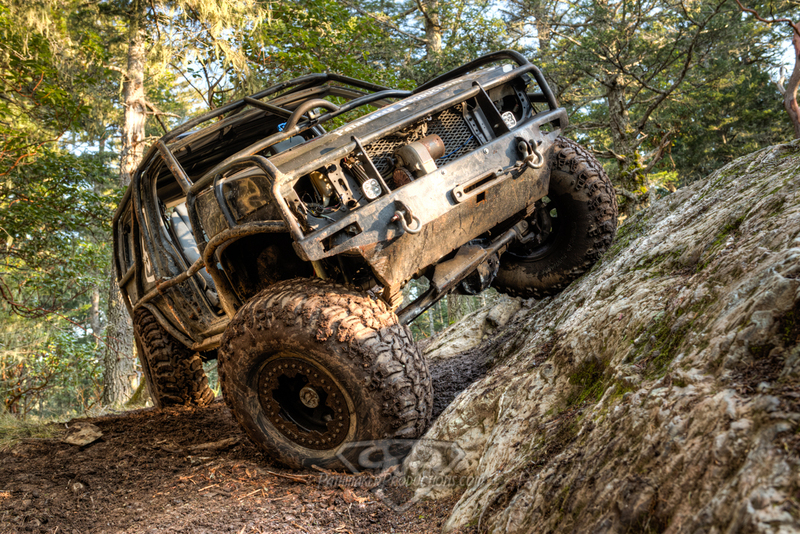 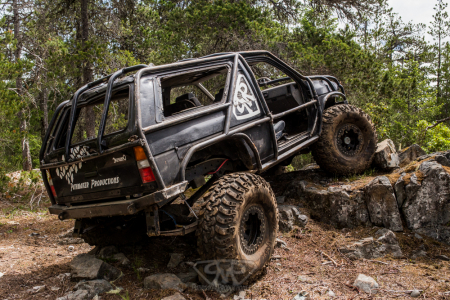 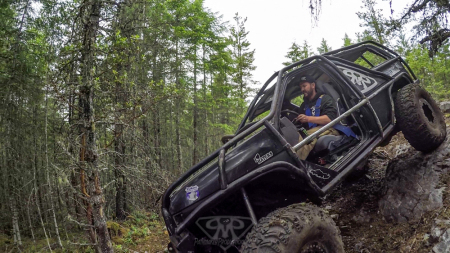 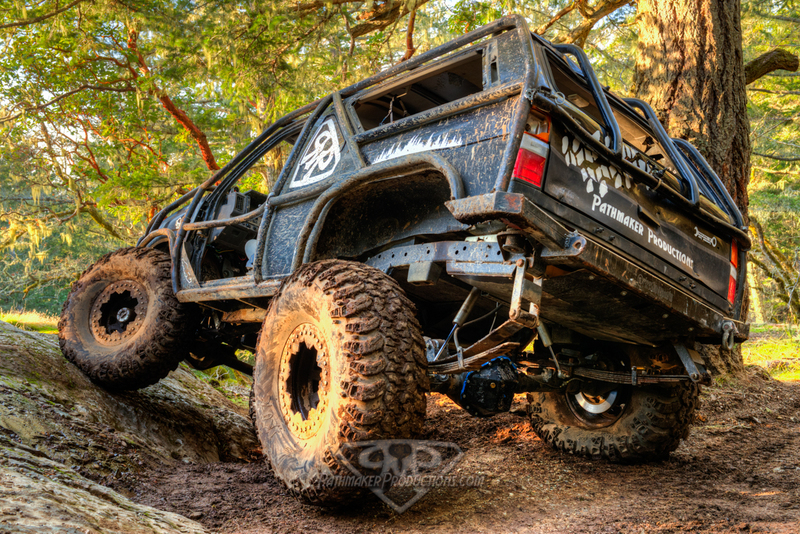 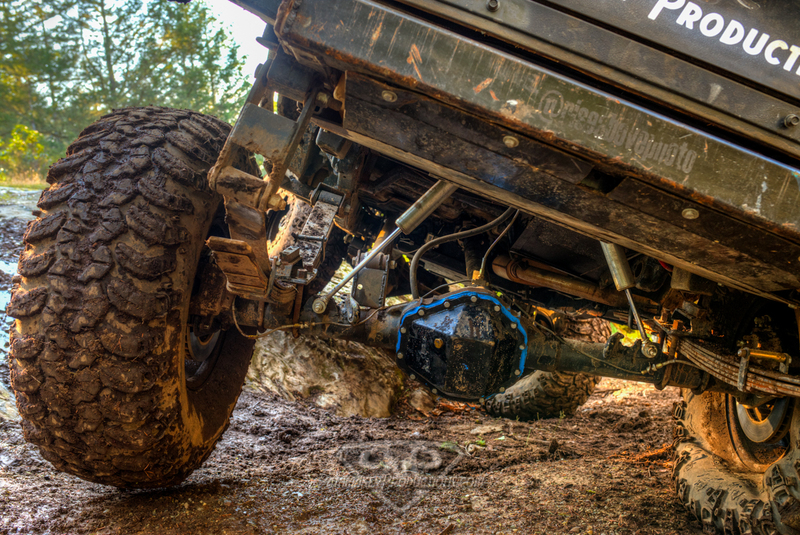 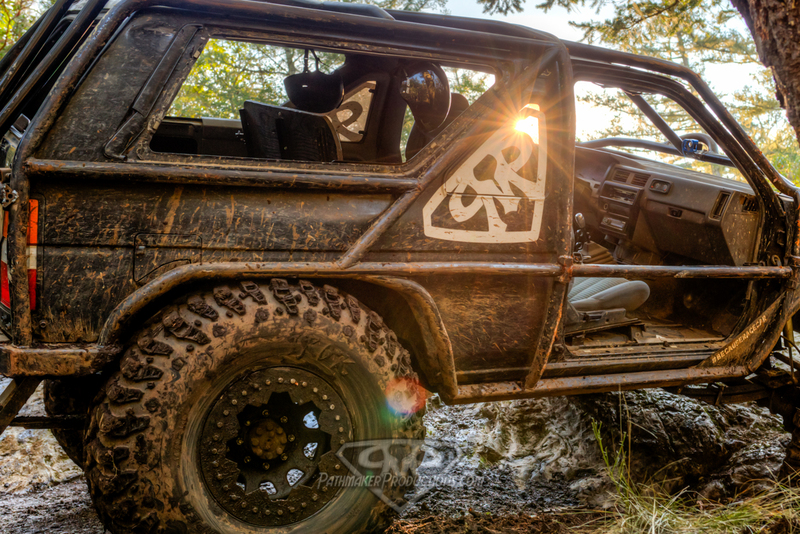 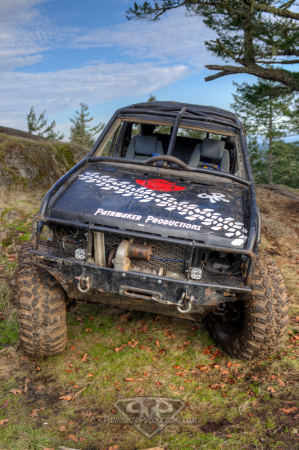 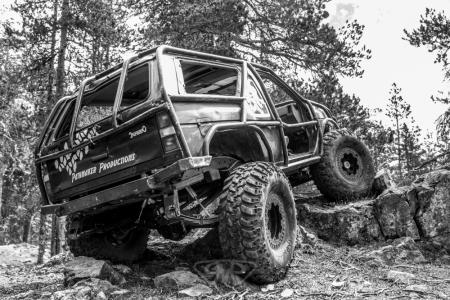 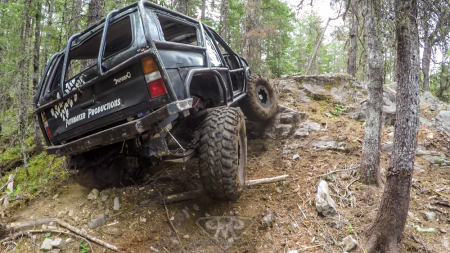 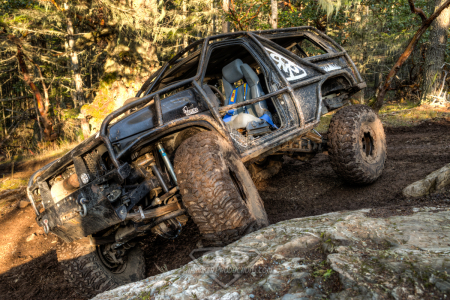 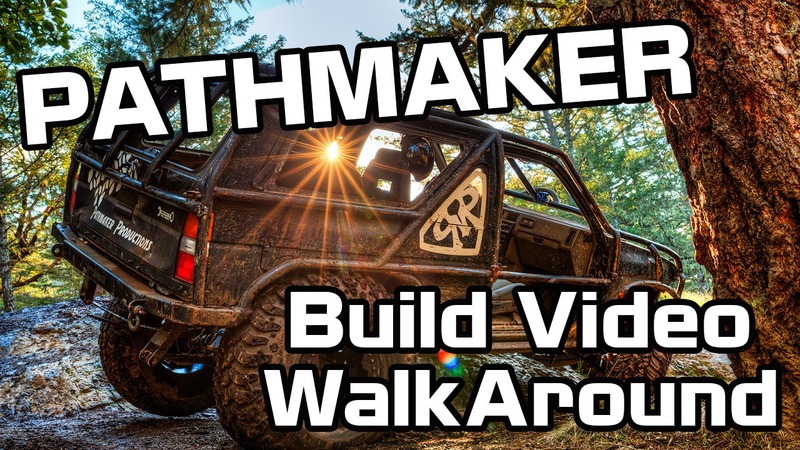 The Pathmaker currently sits on 42″x 14″ Irok tires on custom designed 17″ steel beadlocks. Front Ford Kingpin Dana60 with Yukon Lockouts, 35spline chromo inner and outer axles with Yukon Superjoints. 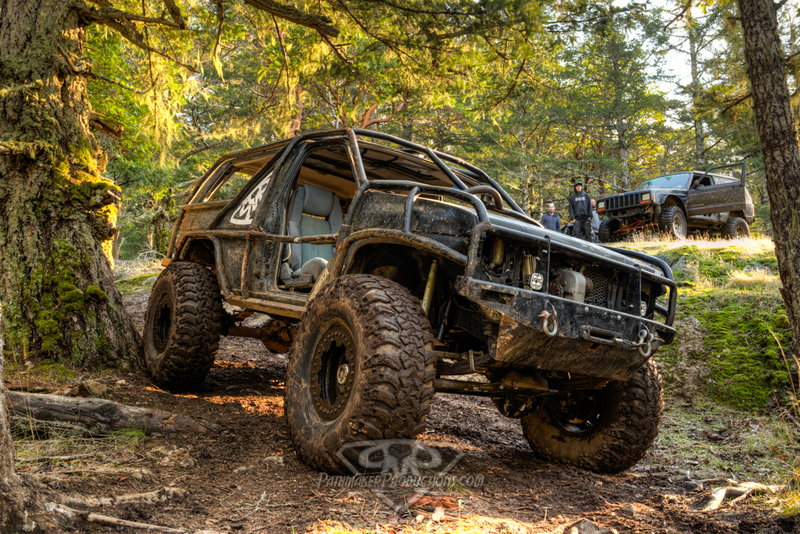 5.38gears and a welded “spool” as well as Full PSC Hydro with an 8″ Ram and NWF Hydro Arms. The rear axle is a 14 bolt with disc brakes, 5.38 gears and a welded spool with a 1/4″ plate cover. A full exocage protects the body as well as myself and passengers from harm. Around here with all the trees, as well as big slippery climbs an Exo is essential. The Exo also ties into my front bumper which has a Warn 8274 in it, which I squeezed in by moving the radiator 2″ closer to the motor and replacing the clutch fan with a Ford Taurus E-Fan. The motor has 300zx cams in it, bored .50 over and running a set of Doug Thorley Headers and a Magnaflow muffler. 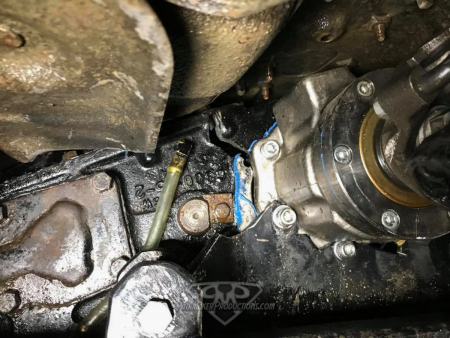 The stock Nissan transmission runs into the “stock” Nissan TX-10 Transfercase. Which is only half a case because a NWF T-Case doubler is bolted to the other half. 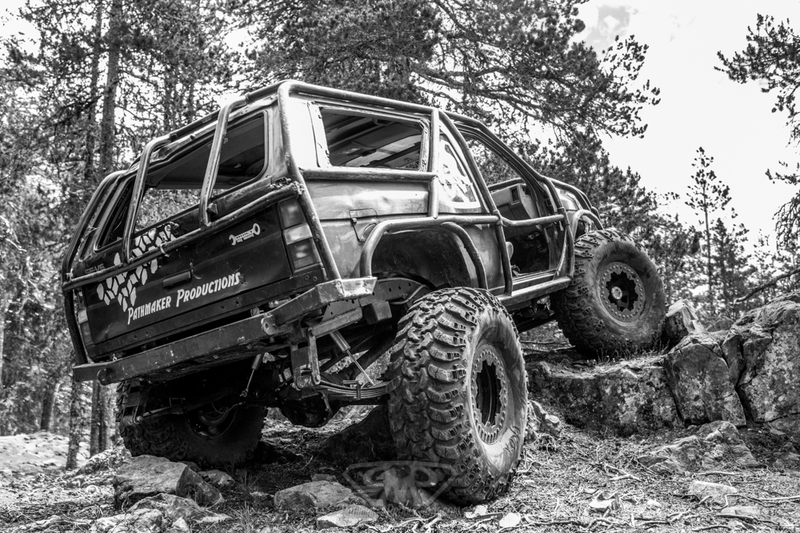 Onto the NWF doubler I have a flipped Dana300 with the shift rails modified for front dig, 32 spline JB Conversions Front and Rear Ouputs. 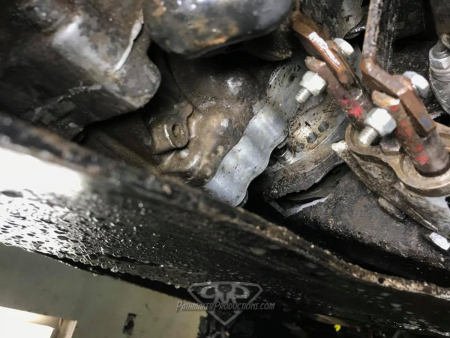 I should have HAD a Dana 300 because after 2 hard days of wheeling this weekend (and 11 trips since I put it in) my Dana300 case decided to split completely in half!